As a business owner, it’s your job to build long-term, solid relationships with customers and clients. With printed notepads, it’s easier to reach out to employees and clients to show how much they’re valued. Printed notepads are a great giveaway gift! Although corporate gifts have been around for decades, they’re still a powerful promotional tool. 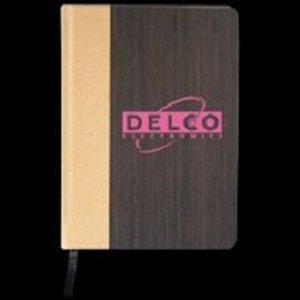 Below are several benefits of our promotional notebooks. When employees are going through trying times, a simple gift can lift their spirits. These gifts don’t have to be expensive; instead, they can be relevant and useful to those receiving them. Positive actions attract positive thoughts, which is why giving things away can help you build positive associations with your company. By giving away notebooks with custom imprinting, you can spread the word about your New Zealand company’s generosity and altruism. Companies are made of people, and people like to receive gifts. 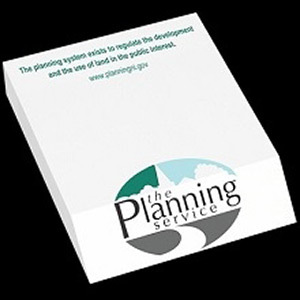 When someone gets something free, such as one of our printed notepads, they’re more likely to sit up and pay attention. Our promotional products are quite useful in the office environment, and every time they’re used, they will remind office workers of your good will and helpfulness. This will be tremendously helpful in the development of relationships with current and potential clients. Corporate gifts with custom imprinting allow you to form close relationships with clients and prove to them that you’re interested in getting to know them on a deeper level. With our printed notebooks, you’ll show that you’ve put effort and thought into the gift-giving process. When you, as a business owner, show gratitude, you’re more likely to build satisfying relationships that stand the test of time. Corporate and office gifts are powerful branding tools that increase awareness and build your company’s image. A well-crafted, carefully considered gift and message will make your firm more memorable in clients’ minds. Our printed notebooks are a simple, yet clever way to thank clients in a way that they’re sure to recall. When customers receive bonuses or promotional gifts, they’re more likely to give your company repeat business. Furthermore, corporate gifts reinforce the partnership bond between business stakeholders. A simple gift may be all that’s needed to remind the recipient that their business is valuable, and this positive feeling increases customers’ loyalty. By distributing notebooks imprinted with your business’ contact information, logo, and name, you naturally increase interest in and awareness of your business. Use our promotional items as an incentive to sign up for a free trial or capture customers’ email addresses, as buyers are more receptive to companies that offer free gifts. The office gifts you give employees and clients depend on the strength of those relationships and the size of your company. Some firms make great efforts to present luxurious, personalised gifts, while others take a unique, yet affordable approach. 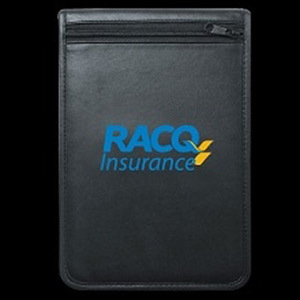 No matter which method you choose, our promotional notebooks will leave a lasting impression on your recipients. Our company is right here in Auckland, which means we have quick turnaround times to all parts of New Zealand. Call us today!